From your textbook by Anthony D. Palma, please answer in complete sentences the following questions from the back of the textbook. Please type the question out before answering the question. Note the page(s) from which you take your answers. These questions can be found on pages 262-264 under the heading “Part 2: Baptism in the Holy Spirit.” The purpose of this assignment is help you get a good understanding of the Pentecostal perspective on the Baptism in the Holy Spirit. For Chapter 7: Introductory Matters, answer questions 2, 7 and 8. For Chapter 8: Subsequence and Separability, answer questions 4-9. For Chapter 9: Physical Evidence, answer questions 4-5, and 7-10. For Chapter 10: Purpose and Results of Spirit Baptism, answer questions 1-7. From your textbook by Anthony D. Palma, please answer in complete sentences the following questions from the back of the textbook. Please type the question out before answering the question. Note the page(s) from which you take your answers. These questions can be found on pages 259-262 under the heading “Part 1: General Pneumatology.” The purpose of this assignment is help you get a good understanding of the role and character of the Holy Spirit throughout scripture. For Chapter 1: The Spirit and the Godhead, answer questions 2-4. For Chapter 2: The Spirit in the Old Testament, answer questions 1, 3-5, and 7-9. For Chapter 3: The Spirit and the Messiah, answer questions 3-4. For Chapter 4: The Spirit and the Church, answer questions 2 and 5. For Chapter 5: The Spirit and the Believer, answer questions 1, 5-7, and 9. For Chapter 6: The Spirit and the Word, answer questions 5 and 7. Using the following as a template, please answer these questions in complete sentences. In other words, cut and paste these questions into your document and type your answers immediately following each question. Video and PDF. 1) Under I, D, identify at least one Mike Bickle example of each of the four types of impressions Bickle teaches about. 2) Explain why speaking the word and verbalizing the impressions the Holy Spirit gives us is so important, according to Bickle. 3) Explain what “dialing down” emotionally means, according to Bickle. 4) What was your favorite story or illustration told by Mike Bickle in his message. 5) Which gifts are you most hungry to operate in? Why? Explain. Using the following as a template, please answer these questions in complete sentences. No video. PDF only. 1) Describe biblically what it means to “walk in the Spirit.” Use at least 3 scriptures to support your answer. 2) Based on Bickle’s notes, explain biblically what is so significant about the New Birth. 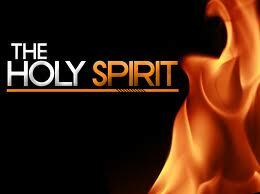 3) How does the Holy Spirit empower our emotions? 4) Of the practical ways to fellowship with the Holy Spirit described by Mike Bickle, which 2-3 are most appealing to you? How and when specifically will you implement one of those in your own life? Using the following as a template, please answer these questions in complete sentences. Video and PDF. 1) What three points from this teaching did you find most helpful? Explain each. 2) How specifically do you see yourself applying these points in your life? 4) Write 5 phrases that you will pray throughout the day in order to better know the Holy Spirit. They can be the same or different from those listed by Bickle. 1) For what three items does Bickle admonish us to contend? 2) Explain in your own words what a “vision for the breakthrough of God’s fullness” looks like. 3) Identify the means suggested by Bickle for contending for God’s power. Which of these seem like the best fit for you and your personality? 4) Identify and briefly explain in your own words common ways of quenching the move of the Spirit. 5) Respond to this teaching. What does it have you thinking about? How does it make you feel? What does it make you want to do? What, if anything, will you do as a result of this teaching?